If you — as a newly accepted student — applied for financial aid and submitted all verification information that was requested you should expect to receive an award notice from Purdue Division of Financial Aid (DFA) in late February. This will be sent to your Purdue.edu email address, which you gain access to by activating your career account. The email notification directs students to view their financial aid offer online in their myPurdue system under the Financial tab. Notifications will also be sent to parents who supplied a parent email address on the FAFSA. First-time students at Purdue will receive an award letter through postal mail. Families can review the recorded Paying for Purdue Award Notice Webinar online as an additional resource. While the first place that your eyes will look is undoubtedly the Free Money section, a better place to start is by looking at the estimated Cost of Attendance (COA) on the right side. The COA is not your bill! Rather, it is an estimate of the costs of being a full-time student and living in West Lafayette for the school year. It also shows the maximum amount of aid you are allowed to receive for the year, not what you ought to be taking. Your actual bill will come later once you’ve signed up for courses. The only costs you will owe Purdue directly are for tuition/ fees, a meal plan (if you have one), and housing costs if you live on campus. Now that you know that maximum amount of aid you can receive, the free money awaits. If you have any grants or scholarships, they will appear here. If you have an outside scholarship and have not reported it yet , you can do that via your myPurdue. Grants and scholarships are the ideal form of aid since you do not have to pay them back! If you subtract your gift aid from the Cost of Attendance, you are left with your remaining “Net Cost”. You can look to cover this amount with the “self-help aid”, using money you already have, or a combination of the two. This is the amount you must cover with money you either have now or in the future. The self-help aid section is where your offered loans and work study will show up. While these options aren’t as preferable as free money they are a better option for many than trying to pay out of pocket. It’s important to know that while work study is a form of financial aid, it does not credit your account like the other forms of aid do! Having work study opens up many employers on and around campus who will only hire work study students. The student still needs to find a job and earn the money which is paid via a bi-weekly paycheck. If you don’t work enough hours to receive your entire work study amount, you don’t receive it. Work study is a good way to be able to supply yourself with spending money throughout the year, but it is not a reliable way to pay your Purdue bill since you receive it after the bill is already due. The other type of self-help aid is the loan. Every loan is slightly different, both in interest and in the steps you need to take to receive it. Federal loans typically are preferable to private loans and often offer more flexible repayment options as well. As you review the award notice and look up different Financial Aid Terms, keep in mind that grants and scholarships are types of gift aid that do not need to be repaid. Loans and work-study are types of self-help financial aid that must be repaid either in money or labor. One question that often comes up is where the FAFSA fits into all of this? The FAFSA’s primary job is to create the Expected Family Contribution (EFC) number, which reflects a family’s anticipated financial strength. The formula for financial need is made by subtracting the EFC from the Cost of Attendance. The remaining amount is the maximum amount of need-based aid a student is eligible for. This can be scholarships/ grants with a need requirement, subsidized loans, or Federal Work Study. It is not guaranteed that your financial need will be filled with need-based aid. Remember that even if you don’t think you will be eligible for need-based aid, you should still file the FAFSA as some scholarships have it as one of their requirements! An FSA ID is a username and password combination that serves as your legal electronic signature throughout the financial aid process—from the first time your children fill out the Free Application for Federal Student Aid ( FAFSA®) until the time their loans are paid off. 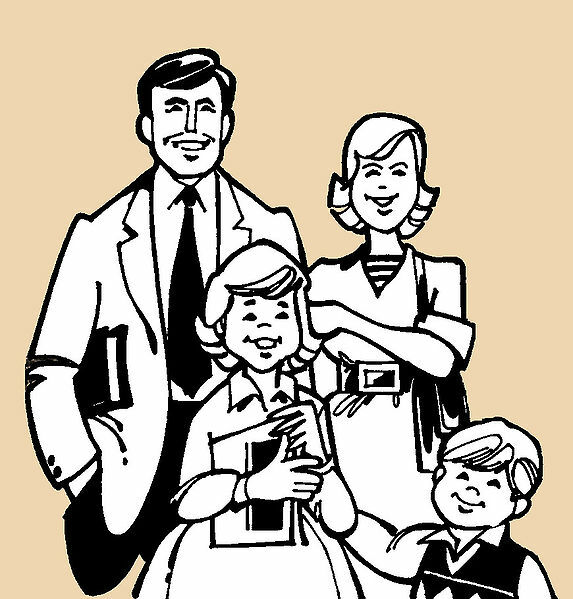 You AND each of your children will need your own FSA ID. Parents and students can create their FSA IDs here. Each of your children will need to fill out a FAFSA. Your children will also need to provide your (parent) information on their 2017–18 FAFSA unless they are going to graduate school, were born before January 1, 1994, or can answer “yes” to any of these questions. You’ll then see the alert below confirming that you want to transfer your information to another FAFSA. Once you click “OK,” a new window will open allowing your other child to start his or her FAFSA. We recommend that your child starts the FAFSA by entering his or her FSA ID (not your FSA ID) using the option on the left in the image below. However, if you are starting your child’s FAFSA, choose the option on the right and enter your child’s information. IMPORTANT: Regardless of who starts the application from this screen, the FAFSA remains the student’s application; so when the FAFSA says “you” it means the student. If the FAFSA is asking for parent information, it will specify that. When in doubt, refer to the left side of the screen. It will indicate whether you’re on a student page (blue) or a parent page (purple). After you select the FAFSA you’d like to complete and create a save key, you’ll be brought to the introduction page, which will indicate that parental data was copied into your second child’s FAFSA. Once you reach the parent information page, you will see your information pre-populated. Verify this info, proceed to sign and submit the FAFSA, and you’re done! NOTE: If you have a third (or fourth, fifth, etc.) child who needs to fill out the FAFSA and provide your information, repeat this process until you’ve finished all your children’s FAFSAs. I have education savings accounts (529 plan, etc.) for my children. How do I report those on the FAFSA? You report the value of all education savings accounts owned by you, your child, or any other dependent children in your household as a parent investment. (Read “What is the net worth of your parents’ investments?” for more information.) If you have education savings accounts for multiple children, you must report the combined current value of those accounts, even if some of those children are not in college yet or are not completing a FAFSA. Example: Child 1 and 2 are filling out the FAFSA. Child 3 is in 8th grade. They each have 529 college savings plan accounts in their names. You would add $41,000 to any other parent investments you’re required to report and input it when asked, “What is the net worth of your parents’ investments?” on each of your children’s FAFSAs. Having multiple children enrolled in college at the same time could have an impact on your children’s eligibility for need-based federal financial aid. TIP: We often hear about families who choose not to fill out the FAFSA again because they believe that they won’t qualify for grants or scholarships, especially if they did not qualify the previous year. This is a huge mistake, especially if you will have additional children entering college. Read on to learn why. Cost of attendance: This will vary by school, so if you have two children attending different schools with different costs, their financial need may be different, even if their EFC is the same. Expected Family Contribution: The information you provide on the FAFSA is used to calculate your child’s Expected Family Contribution (EFC). The EFC is a combination of how much a parent and student are expected to contribute towards the student’s cost to attend college. The EFC is not necessarily the amount of money your family will have to pay for college, nor is it the amount of federal student aid you will receive. It is a number used by your child’s school to calculate how much financial aid he or she is eligible to receive. Since we recognize that a parent’s annual ability to pay doesn’t change as you have more children enroll in college, we divide the expected parent contribution portion by the number of children you expect to have in college. Example: Let’s assume that all of your dependent children have identical financial information and that the calculated EFC assuming one child in college would be $10,000. Here’s how each child’s EFC would change depending on the number of family members attending college full-time. Financial need: Please note that schools differ (sometimes greatly) in their ability to meet each student’s financial need. To compare average school costs schools based on family income, visit the CollegeScorecard.ed.gov. Nicole Callahan is a Digital Engagement Strategist at the U.S. Department of Education’s office of Federal Student Aid. 10 Steps to Prepare for Next Semester Now! Is the work load realistic? It’s awesome you want to take 20 credit hours! Is it really that realistic to successfully complete 20 credit hours though? Be honest with yourself and only take what you can handle. Your financial aid, degree, and future job depend on you doing well so don’t set yourself up for a disaster. What classes do you need? If you know you can only successfully complete 15 credit hours which classes are really important and get you closer to your goal, graduation? I know your best friend is in that class and you really want to be with her, but maybe that’s not the best option for you. And make sure you stay on track. Are you going to graduate on time? It can cost a lot of money if not. Make sure you are taking care of what you need to first. What time is class? Some of us are morning people, and some of us are definitely not. No one knows you better than… you! Keep in mind part of your financial aid is contingent on participation, which for some that means attending class. If you know you’re going to sleep through a 7:30 am class, perhaps there is a better option during a later time. You just might be able to substitute the 7:30 am class for another credit altogether. Check with your advisor for any class switches you could make. When is lunch? When some of us make a schedule, we pack it as tightly as we can, to be done with the day as soon as we can. Others purposely leave room for a lunch. So look at what works best for you. If you have time for a lunch, packing a lunch is always cheaper. If you don’t have time for a lunch, maybe you don’t need such a large meal plan, see about switching it out for what meal plan works best for you and your needs. How are you getting to class? Are you taking the bus? Make sure you check out the bus schedule to see when it starts, stops, if it is on-time, and plan accordingly. Difficult to tell when a bus is on time, there is an app for that. If you’re driving, are you sharing that car? Make sure you work it out with all the necessary parties. Do you have scholarships? What are the GPA requirements for those? Most Purdue scholarships check your grades in the spring, and only in the spring. Make sure you’re on track to keep your scholarships! If you know you’re not where you need to be, consider taking some GPA booster classes or cutting your work load to get your GPA were it needs to be. Also don’t stop now! If you have a good GPA keep up the good work and don’t lose momentum. What other financial aid do you have? State and federal aid have minimum credit hour requirements to receive those funds. Make sure you continue to meet those credit hour minimums. You can always see the requirements needed for all types of aid by going to your MyPurdue, look under the financial tab. On the left hand side there is a link that says “Award for Aid Year”. After you click the link you will want to select the 2016-2017 school year. On the award overview tab, all of your aid will be listed with links to the award requirements. Is your enrollment changing? Typically, financial aid is based on the assumption you will be 12 credit hours or more. If you’re not, let the financial aid office know, before classes start! Re-awarding financial aid is a manual process and can take some time. Letting the Financial Aid Office know about your schedule changes in advance will save you from headaches. What are the additional costs? Some courses come with special course fees, like chemistry labs. Can you handle that other cost? All books are not created equal. Keep in mind some textbooks will always cost more. So make sure you consider if the additional financial costs outside of the tuition will be covered. And plan ahead. Often times there are cheaper options for buying books. Do you have a job? Most employers, especially the ones on campus, are good about working around your class schedule. They are here at Purdue and realize you are a student. That being said, they need to know your schedule. Make sure you give them your schedule and do so well in advance. The early bird gets the worm and the sooner they have your schedule, the sooner they can work around it and give you the hours you need. 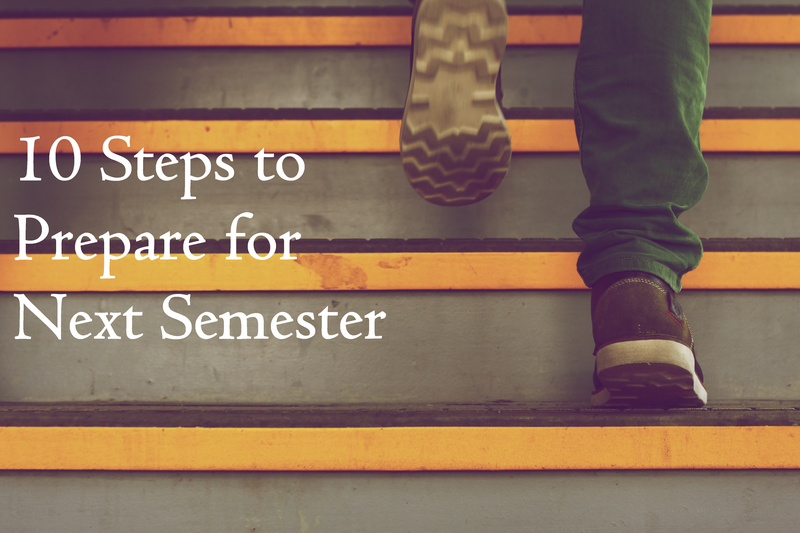 What steps do you take to prepare for a new semester? October is the first month you can begin the FAFSA for the 2017-2018 school year! An important part of the FAFSA is creating your FSA ID. This video by Federal Student Aid walks you through the creation of your FSA ID, which you will use annually to file for federal student aid. Now that you know how to create your FSA ID, click here to get started! When you think of that person in college who is always on top of everything, has their classes for next year already figured out and knows every stop from now to graduation then you’ve basically described the opposite person of me. Organization and planning never came easy for me, not that I ever really cared much about it. However, as life got crazy busy for me in my last couple years of school I found that I needed some ways to keep my life together as I was figuring out the next semester’s classes come registration time. Here are some tips that can help fellow procrastinators plan their semesters. Start off by checking out your degree plan (your myPurdue Plan) and what requirements you need to stay on track toward graduation. While there’s seemingly a million things early on, you tend to see the light after a couple years and the classes that you need to take later become fewer. Pro Tip: leave a few generals classes for your last year – they typically have multiple sections and are easy to schedule around that senior seminar class that is only offered once per year. Once you know what requirements you need to check off and what classes you might be interested to do so, it’s time to meet with your advisor. Before you sign up for classes, most colleges force you to meet with your academic advisor. Even if they don’t, it’s something you should try to do. However, that’s not to say that it should be the first part of planning your next semester. Your advisor is much more effective if you come prepared! Having the previously mentioned wish list of classes and what objectives you have left using your myPurdue Plan worksheet will make your meeting much more productive and give you time for those other questions your advisor can help with, like internships and post-grad plans. So now you know what classes you should be taking and have your other questions answered it’s time for actually signing up. The key here is knowing your life. Not everyone is cut out for 8 a.m. classes. If you’re going to skip for sleep rather than go, find a way to work around it rather than handicapping yourself. Try to spread out your difficult classes, both across semesters and across days of the week. Also take into account your life outside of class. If you have to work, have an idea of what your schedule might look like. One of the positives of having an on-campus job is that they tend to be able to fit hours in around your schedule rather than trying to get you to do the opposite. Plan on taking 15 credits every semester! If you take 12 one semester, you have to make it up somewhere down the line and that sets you up for a potential 18 credit nightmare. This will keep you on track to graduate in 4 years. Not staying on track for 4 year graduation has a whole host of potential issues that come up including the costs of extra tuition & lost wages from not working, losing state financial aid, and running out of federal financial aid and 4-year scholarships. Once you’ve taken care of the scheduling aspect, everything else starts to fall into place. You know your class times, you can figure out what time you’re busy with student organizations, you can fit in your work schedule and then everything else is left over for leisure, study, and class work time. Classes typically only take up less than 20 hours per week of actual in-class time. If you add that plus a mythical 12 hours of sleep per night, and 12 hours of work each day, you still have 52 hours of free time to devote to everything else (including homework) in a week. The key is finding a stable pattern that can help you take care of what you need. For us disorganized and unscheduled people knowing that you absolutely cannot procrastinate a project until tomorrow because your only actual time to work on it is today can make a world of a difference. If you have a relatively consistent schedule you can know this rather than being overwhelmed the next day because that paper is due tomorrow but you’re supposed to be at a club meeting tonight! Use ratemyprofessors.com to get an idea of what instructors are best. Seriously, use a planner or calendar or something to put down when papers are due, when tests are, and other big events that could get in the way. I had at least half the crisis moments when I could actually see when I would have busy times coming. Figure out your study style. Some people need to read and highlight, some people need to write and rewrite notes, and some learn by teaching it to others. If you’re spending hours every night in the library for one class you’re probably doing it wrong. Also, your ideal study & homework time! I killed it between dinner and bed time but couldn’t find motivation earlier in the day. Some people do it right after class, it’s up to you to figure out! Remember that you can’t teleport from one place to the next. Factor in travel time! As you fill out your intent to graduate forms and begin looking into the post-college future, your stomach might start to turn. You might start to panic and it may become difficult to breathe as you start imagining your monthly student loan payments. Stop, take a step back, BREATH, and let’s think about the situation. But guess what? There’s good news! Not only do you have a six month grace period after you leave school or drop below half-time attendance for your federal student loans, you also have numerous options for repayment plans. A grace period is a period of time after borrowers graduate, leave school, or drop below half-time enrollment where they are not required to make payments on certain federal student loans. Some federal student loans will accrue interest during the grace period, and if the interest is unpaid, it will be added to the principal balance of the loan when the repayment period begins. Repayment plans are designed to accommodate the needs of graduates entering the job market and receiving introductory salaries, while carrying the responsibility of handling additional bills, like rent, insurance, gas and groceries. You do have options. If the standard ten-year plan with fixed payments is too much for you to handle, contact your lender to negotiate payments that match your budget. Not sure who your lender is? You can view all your federal loans and their lenders online from the National Student Loan Database. Which Plan Meets Your Needs? Federal student loans come with a variety of repayments plans that are offering based on requirements such as income, family size, or loan type. Examples of federal loans include Direct Loans or Federal Family Education Loans, which could be Subsidized Stafford loans, Unsubsidized Stafford loans, or PLUS loans. There are three main categories of repayment plans for you to consider. First, the Graduated Repayment plan will allow you to begin making lower payments. Although, like the Standard plan, this plan must be completed in ten years, the lower payments gives you time to increase your salary. Every two years, your monthly payments will increase. Second, if the Graduated plan is still more than you can afford, the Extended Plan allows you to take up to 25 years to repay loans. There is more flexibility with this option, as you can choose between a fixed or graduated payment. Finally, there are four different repayment plans that consider your income as a factor. Some of these plans also consider factors like family size, spouse’s income, and total amount of loans. Although these have similar-sounding names, each has specific requirements and formulas which influence the monthly amount you will owe. While you are researching different payment cycles and methods, you may consider a Federal Loan Consolidation. A Federal Loan Consolidation allows you to merge all your Federal Student Loans into one loan. This can include your Subsidized Stafford Loan, Unsubsidized Stafford Loan, and Perkins loans. Once all your Federal Student Loans are merged into one loan, you will only have one monthly payment and one interest rate attributed to the loans. However, note that this will likely not reduce your overall interest rate since it is weighted by loan. As you can see, a Federal Consolidated Loan may allow for an easier way to manage monthly repayment. Get in the habit of putting a portion of your paycheck in savings now, before you start paying back your loans. This will force you to make a budget and spend less every month, so when the time for repayment comes, it will be easier to part with this percentage of your paycheck. The money you save up during your grace period can also be used as an emergency fund of accessible cash for unexpected situations. This cushion can enable you to afford your loan payments even when you have unexpected expenses such as a flat tire, broken arm or speeding ticket. Preparing yourself for the future can protect your loan debt from growing any larger. Make sure your loan servicer has updated information, including your phone number and email. Your servicer will need this information in order to communicate any new information on your loans, including when your next bill is due. Choosing a plan and taking a proactive approach with your finances can help you smoothly adjust into your repayment period. Whether you know it or not, there is a limit to how much financial aid you can receive in a year. This is reflected in your Cost of Attendance (COA), which is sometimes referred to as your “budget” when speaking to a financial aid counselor. It includes 1. Tuition & Fees; 2. Housing & food; 3. Travel; 4. Books/ Supplies; and 5. Miscellaneous (think laundry or other random expenses). Your COA is NOT what you are being billed, rather it is an estimate of the total cost of attending school for one year. Tuition is the biggest variable between students when it comes to COA. The three different standard levels of tuition are based off of your residency as shown on the chart. This will also include your differential fees as well. Differential Fees are added tuition costs for certain colleges or with specific majors (Engineering, Krannert, Polytechnic, and Computer Science). Then, there are fees for classes like horseback riding, wine tasting, etc. While these are added to your bill like Differential Fees, they are not automatically added to your COA! The exception is the course fees for Aviation Tech majors. These Differential and Course Fees are the same for every student regardless of residency. After Tuition & Fees, everything else other than Travel is the same for each student’s COA, regardless of their residency. Outside of tuition, your biggest expense is almost always going to be your housing and food. If you live on-campus or have a meal plan, this will be included in your bill from Purdue. However, if you live off-campus it will not be on your bill but will still be included in your COA. Your COA says that on average you should be spending $10,030 combined for your housing and food costs. Depending on your situation this might be much higher than you actually need or it might not be enough. If you find that your housing and food costs will be significantly lower, consider borrowing less if you are taking out student loans. 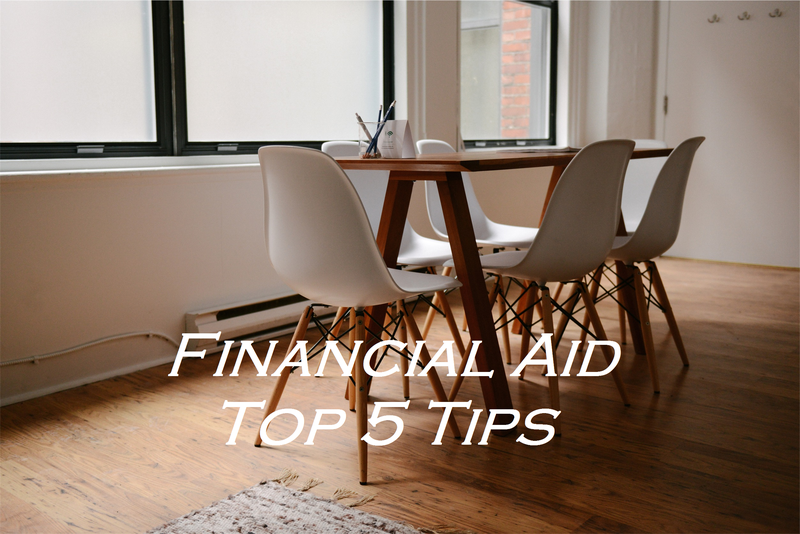 If it is much higher and you need financial aid to help, contact the Financial Aid office. The travel portion of the budget is one that will end up extremely different from one student to the next. This is generally meant to be enough for a student to visit home twice throughout the year, but as you can bet the $370 is woefully inadequate for an International Student unless you’re driving to the closest areas in Canada from West Lafayette. Books and Supplies attempts to estimate the costs for your textbooks and other supplies needed for the year (pens, folders, notebooks, etc.). You may also consider using this money in order to buy a computer for yourself in order to do your classwork. If this is the case and your current aid will not be enough to cover it you may consider contacting the Financial Aid office to help increase your budget. The Miscellaneous category are all of the other incurred student costs that don’t fit neatly into the other categories. Costs like toiletries, laundry, clothes, and other personal expenses are included in this diverse category. Although they are smaller purchases, if they are unaccounted for, they can chip away at anyone’s budget. If you feel like your Cost of Attendance is not representative of your costs of being a student at Purdue for a year and gives you too little room for aid, please contact our Financial Aid office. Conversely, if you find it is higher than you need and you are borrowing to help finance your education, seriously consider taking less in loans! Every dollar you don’t borrow is one you don’t have to pay back – with interest. You are also able to have allowances for child care or other dependent care and costs related to a disability, which is also added into your COA, but you must contact the Financial Aid office for assistance. Keep in mind that if you increase your Cost of Attendance, that only increases how much aid you are eligible to receive! If you already have less aid than your COA, you probably won’t be getting more just by increasing it. Both available from 8:00 a.m. – 5:00 p.m. EST Monday through Friday. FAFSA: Who, What, When, How & Why? This answer depends on if you are a dependent student or not. Unsure if you’re Dependent or Independent? Check here. (Note: this is not the same as being independent for tax filing)Dependent students: You need tax information for both you AND your parents. If your parents are divorced, you need the information on whoever you receive the most support (51%) from. Independent students: You only need your own information unless you are married. If so, you will need your spouse’s information as well. The FAFSA is the Free Application for Federal Student Aid. You’ll need a computer, your school codes, and items on the FAFSA checklist. If your family situation has a significant change after you’ve filed your FAFSA, and any time while you’re in school, stop by your Financial Aid office to see if you qualify for a “special circumstance”. These could include job loss, divorce, death of a parent, child birth or other unexpected situations that impact your financial status. 1. Grants — Federal Pell Grants do not have to be repaid and are sometimes referred to as “gift aid”. Grants are similar to scholarships, except that they are often for those who demonstrate financial need, where scholarships can be either merit-based or need-based.2. Student Loans — This is the type you hear about most often. Filling out the FAFSA is required to be eligible for Federal Direct loans. Federal loans are almost always preferable to private loans from lending institutions, because they have fixed interest rates and flexible repayment options.3. Federal Work Study (FWS) — Work study may provide you with more opportunities to find on-campus jobs. Rather than being given the funds in the beginning of the semester like loans and grants, FWS earnings are distributed to you as part of your paycheck. You’ll need the school code for whatever schools you are interested in applying to. They are available here. Your FSA ID is used to login and electronically sign your FAFSA. Set it up at here. College Goal Sunday will be held on Sunday, February 21st at 2:00 p.m. in Indiana and it provides FREE FAFSA filing assistance. It is at Ivy Tech in West Lafayette, but to find a location near you in one of the participating 42 states, go to www.CollegeGoalSundayUsa.org. You can always call the Financial Aid office of your prospective school to ask questions as well. You can begin the FAFSA any time after January 1st of the year you plan to attend college. The FAFSA uses the student/parent tax information from the previous year. You can estimate the required information to beat a college priority filing date, but the info must be corrected after the taxes are complete! Most students don’t know this, but there is a maximum amount of Federal Loans you can take out each year. There is also a maximum amount you can take throughout your college career! If you take the maximum amount for four years, there won’t be as much left for a fifth year if needed. Plan ahead! Tuition. Books. Supplies. Parking. Housing. But on average, if you take 15 credits each semester, you’ll have an associate degree in 2 years or a bachelor’s degree in 4. And then, instead of letting the expenses of college drag on for years, you’ll be out in the world using your degree to jumpstart your career, get a better job, and earn more money. 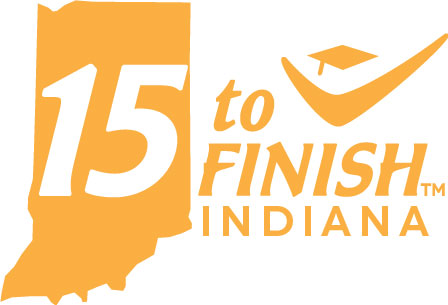 Indiana’s 15 to Finish campaign is sponsored by the Indiana Commission for Higher Education in partnership with the state’s colleges and universities. Whether you are an incoming freshman or a returning senior, financial aid can be confusing. As financial aid counselors, there are things we really want all students to know. There is a limit to how much financial aid you can receive. Every school will give you something along the lines of an “Estimated Cost of Attendance” or “Budget.” This is your limit on financial aid at your university and students cannot have financial aid over this amount. This amount will vary at different universities because it takes into account your tuition, room and board, and other estimated expenses that are specific to each university. There is a difference between your Estimated Cost of Attendance and your bill. Your Cost of Attendance is a term that is interchangeable with “budget.” It will include estimated costs for expenses like books and supplies, transportation, housing and food, miscellaneous costs, etc. The university is not going to bill you for estimated miscellaneous costs. If you’re not living on campus, you will not be billed the amount for “room and board” on your Estimated Cost of Attendance. 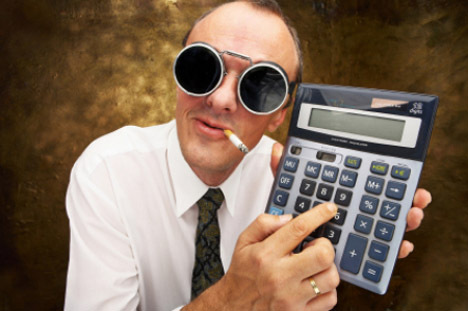 Your budget is a list of estimated expenses you may have for the year. Your bill is what you will actually owe. Your budget doubles as your financial aid limit, as mentioned previously, but it’s also a way for you to “budget” for expenses that may pop up during the year. In actuality, your bill will only be tuition and fees (and housing and food if you stay in a dormitory). Financial aid counselors want you to understand this difference because we often see students taking out loans to cover their entire budget. In reality, these students could have saved themselves thousands of dollars had they known they wouldn’t be billed for their entire Cost of Attendance. You can get a refund. So why does your Cost of Attendance/budget even bother to include expenses you won’t be directly billed for? The answer is simple. It’s so you can get financial aid to help cover extra expenses, and this is done with a refund. Since your budget includes costs like miscellaneous expenses, you may find that you have a budget of $20,000 when you only have a bill of $17,000. This means you potentially have financial aid $3,000 in excess of what you need to cover your bill. In a situation like this, the Bursar’s Office will issue you a refund check. This refund can be used to help cover any of your academic expenses that you won’t be automatically billed for such as: books, supplies, transportation, and miscellaneous expenses. If you are staying off campus in an apartment, fraternity, or sorority, instead of living in a residence hall, this refund can also be used to help cover your off-campus rent. Believe it or not, grades actually matter when it comes to financial aid. Students must meet Satisfactory Academic Progress (SAP) in order to remain eligible for financial aid. SAP is measured at the end of every semester, even if you didn’t take classes, and Purdue notifies you by email of your new SAP status. Purdue’s SAP Policy can be found online on the Division of Financial Aid website. We are here to help! 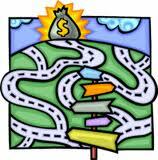 We understand that financial aid is very confusing, especially if you are brand new student. It’s our job to answer any financial aid questions or help explain things that may seem confusing. Above all, we hate seeing a little issue turn into a big issue just because a student was scared or embarrassed to ask us a question. We’ll be excited that you are seeking more information, and you’ll never know unless you ask. Are you a student at Purdue who has questions about financial aid? Please feel free to contact the Division of Financial Aid via email or phone.